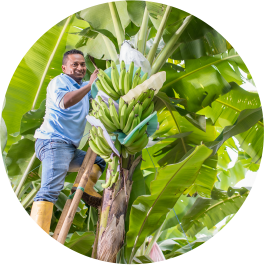 Following the rigorous standards of organic produce we nurture and select our fruit from our best banana trees and make sure they get enough water and sunlight to grow on highly fertile ground. 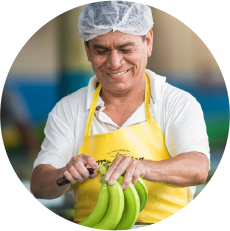 By keeping a tight control of each batch of organic bananas we can assure that we are always meeting the quality standards which the international organic entities require and which our clients are used to. The dimension is calculated from the tip of the fruit to the end of the stalk on the outside curve. Circumference is measured at right angles to the curve of the fruit, at the point where it is thickest. 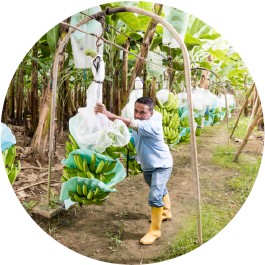 Bananas are always harvested by hand using a two-person team. One person cuts and the other carries the bunch away. 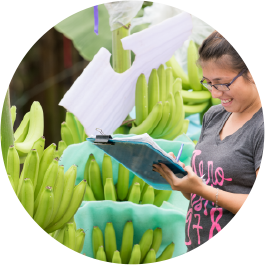 Each bunch of bananas is placed straight onto a padded trailer. Padding is also placed on each side to prevent any rubbing between bunches. They are then placed in tanks of water for at least some minutes to wash off any trace other impurities. Every cautionary process is taken against damage to the skin of the fruit. 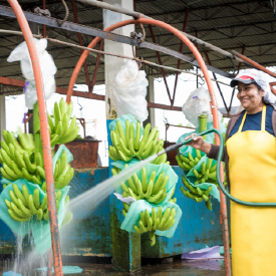 The organic bananas are washed as part of their preparation. 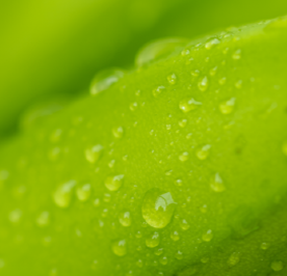 This will allow any soil or debris to be eliminated and not be present in any further manipulation. 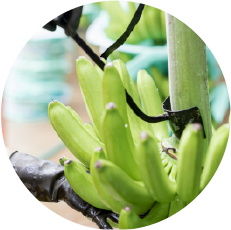 At the packing shed the bananas are hung, have their bunch covers removed and dehanded. 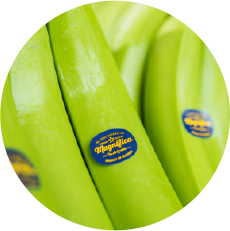 We brand our organic bananas with individual stickers which highlight the properties and production process they have gone through. 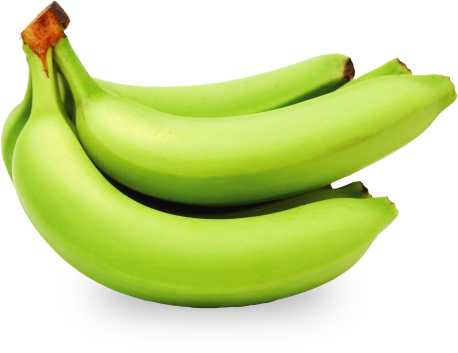 Bananas are carefully packed in cartons in hands, clusters and singles. 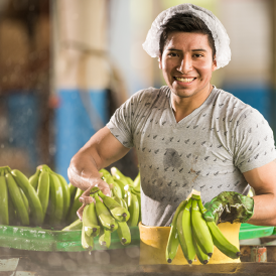 All our organic bananas are marketed throughout the world and travel in branded boxes. The fruit is packaged in boxes of cardboard construction with plastic film inserts to maintain the fruits properties throughout its voyage.